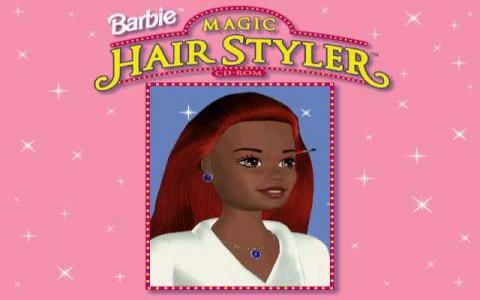 Barbie Magic Hair Styler was the styling and fashion game that was prominent in a period when such game weren't yet sprinkled all over the internet, in a dozen flavors and in so many different nuances. But, what it offered the hair styling freak (generally girls with ages of 12, at the most, and the occasional adult!) was enough interesting to make the game worth the time spent in it. Now, there were different Barbie models, each with its own skin type and hair, and, to its merit, the game featured different racial features and a relatively diverse array of hair styles to try out. But, unlike a game such as Barbie Adventure Riding Club, this one was relatively short sighted in terms of scope. After you styled a few dolls, tried out a few different ideas, the game was pretty much exhausted gameplay wise. 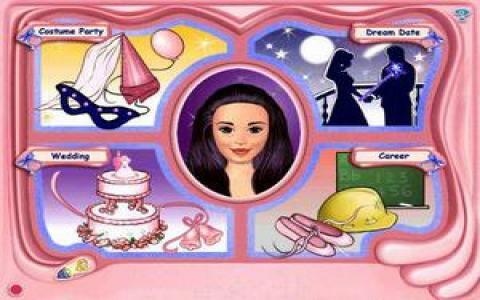 So, if you were looking exactly for that, a minigame in which hair design and styling was the objective, Barbie Magic Hair Styler offered a good enough offer, but by no means an experience that would drain days on end playing. So, if you are looking for a game from the late 90s that showcases hair styling, this might just be it. It's fun but limited in scope. i used to play it when i was a child! It's a great game for little girls, in fact, my 7 years sister want it,I was looking for it for a lot of weeksand finally I find it!! My sister will love it and maybe love me too! !